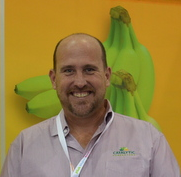 Leigh brings vast business experience to the fruit ripeners of Australia and is ready to apply it in order to supply a full-line of safe, easy-to-use and efficient ethylene application systems to market. Leigh has added another service to his list…fruit ripening & ethylene application! Leigh and his team provide Catalytic Generators’ line of quality ethylene generators and Ethy-Gen® II Ripening Concentrate to fruit ripeners in Australia, New Zealand and beyond, as well as the support and assistance for sales, installation, ripening and service of equipment. Catalytic Generators Australia is your full service ethylene application company.